Dark stitching enhances the clean lines of high-waist jeans cut from soft, stretchy denim that'll take you from the office to a night out in style. Color(s): edison. Brand: FRAME DENIM. 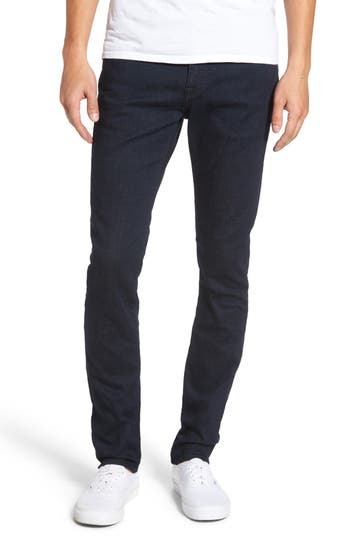 Style Name: Frame L'Homme Slim Fit Jeans (Edison). Style Number: 5411260. Available in stores.